In the internet vernacular of people failing, the Scorpion is a step up (or down, really) from your average face plant. 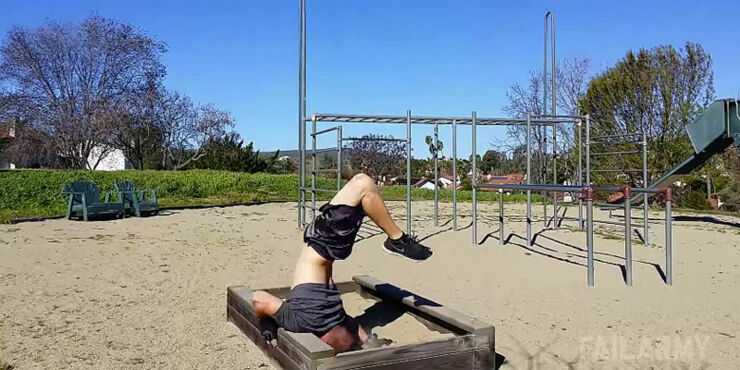 A face plant just involves face finding ground, sure it'll hurt like hell, but it's not the pinnacle of a face plant fail. If you really want to go out in style and score extra fail points then you need to attempt a Scorpion. This is a move which, when you fail so spectacularly, your face hits the ground so fast and your splayed legs ride up in the air and over your head in a fashion that resembles a scorpion tail. And Fail Army have collated together some of the most harsh and grimace-inducing Scorpions the internet has to offer. From waterskiing to snowboarding, from kids to adults, all kinds and varieties are here for you to get a quick laugh out of. Although, some of them are so dramatic you may find it hard to watch. Actually, who am I kidding, no you won't. But you might find your back aching in sympathy. And always remember it's always funny when it's someone else and not you.